Family time is super important. I love me a holiday tradition; it was a true pleasure to be given the opportunity to take my dancing enthused daughter to see the Yorkville Nutcracker at the Kaye Playhouse at Hunter College. This version of the classic ballet is set in 1895 and the sets, decorations and costuming were just spectacular. As a New Yorker myself, I completely enjoyed the “Olde New York” feel with sets in the Gracie Mansion, New York Botanical Gardens and Central Park. My daughter was in awe of all the adorably talented kids in the show. This is what Dances Patrelle does best; this amazing opportunity for young aspiring dancers to work alongside the professionals. Whether we were watching the holiday party scene or the sugar-plum sequence the talent of these young dancers truly amazed my daughter and I was thrilled to share that with her. 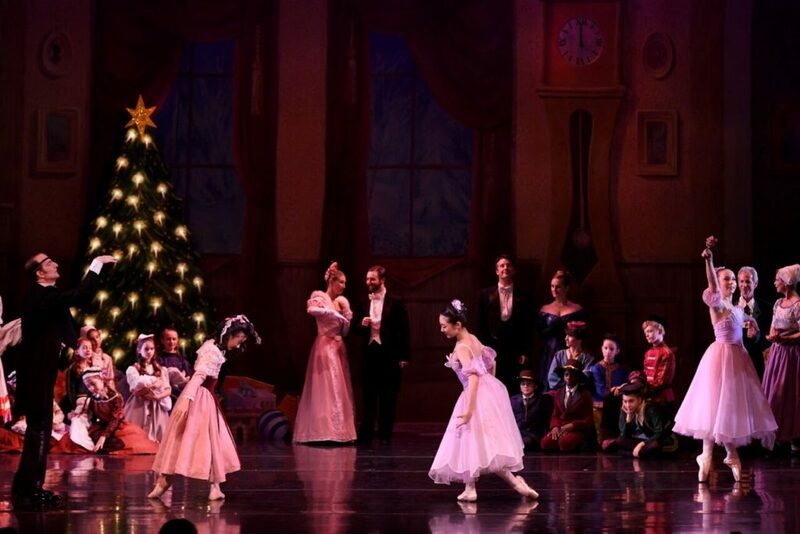 As for our favorite scenes, for us the Sugar Plum Fairy just blew us away. It was a splendid show and I would truly see it again and again. I am absolutely returning to see another of DP’s shows it was a very pleasurable afternoon for me and my tiny dancer. See it for yourself! You can purchase the show as a download and carry the holiday spirit all year! Can prancing really be dancing?! ?